I love my nieces dearly, but when it comes to their birthday cakes I only ever get a days notice that they want me to make it. For this particular cake, my oldest niece sent me a link for a cake and said can you make it, for the next day. So off I go to the shop, buy all the ingredients and get home and start baking. Now the recipe is from The Black Star Pastry cake shop and I had already had the pleasure of trying their version at a picnic I had gone to, so I knew roughly what it was supposed to look and taste like. The first time I made it, I found it slightly too sweet and there was too much rosewater in it. So for my anniversary a week later I decided to try it again. This time I reduced the sugar content and the amount of rosewater used, and I found it was how I liked it. It is a lovely cake, that looks and tastes pretty. It is something that I will repeat again, as it worth the effort. 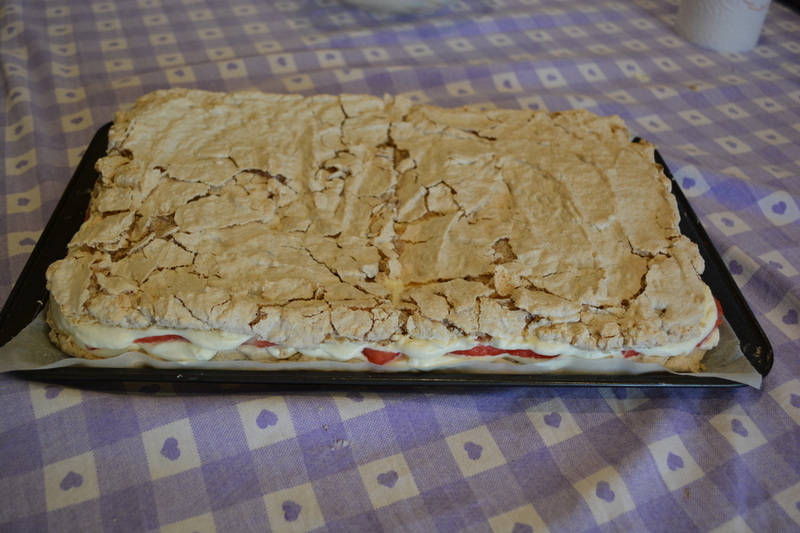 For my nieces birthday I baked two almond dacquoise, and doubled the recipe to make a large cake. For my anniversary I did as stated below. Both ways the cake turns out beautifully. If you are doubling the recipe, the dacquoise may crack or break when lifting to the serving plate, but don't worry just assemble on the serving plate, as best you can, it gets covered by cream anyway. I find if you cut the cake in half it easier to lift and manoeuvre the dacqauoise. 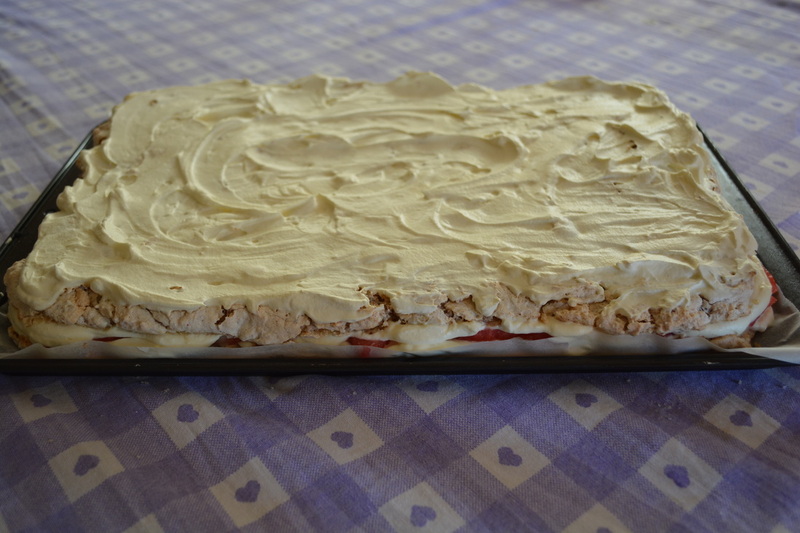 For the Almond Dacquoise: Preheat the oven to 200C. Place the almonds in a food processor and blitz until finely ground. Pour into a bowl and add the icing sugar, mix to combine. Place the eggs in a bowl of an electric mixer and beat until soft peaks. Gradually (a tablespoon at a time) start adding in the caster sugar and keep whisking until the sugar has dissolved and you have stiff peaks. Gently fold in the almond mixture. 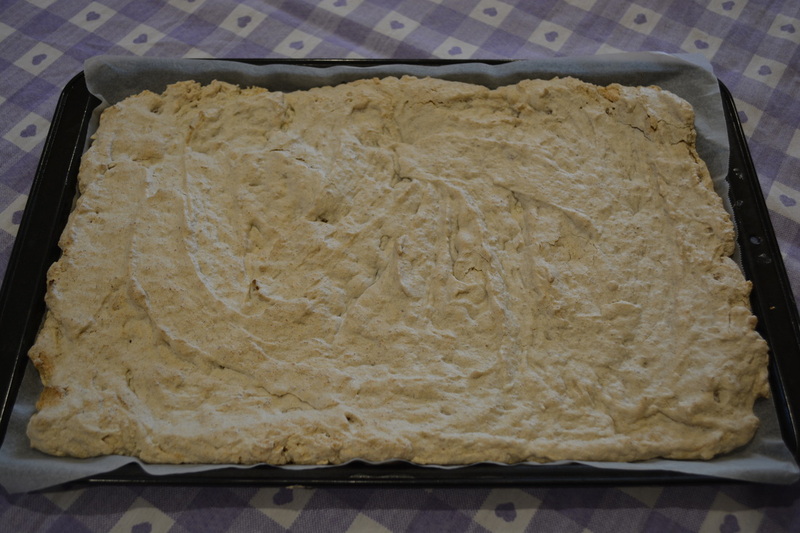 Spread the mixture on a baking paper lined 30cm x 40cm baking tray and bake until golden, around 10-15 minutes. Set aside to cool on the tray. Once cool cut in half lengthways. Arrange the watermelon in a single layer on a wire rack. Sprinkle with 20ml of rosewater, sprinkle with 1 tablespoon of caster sugar. 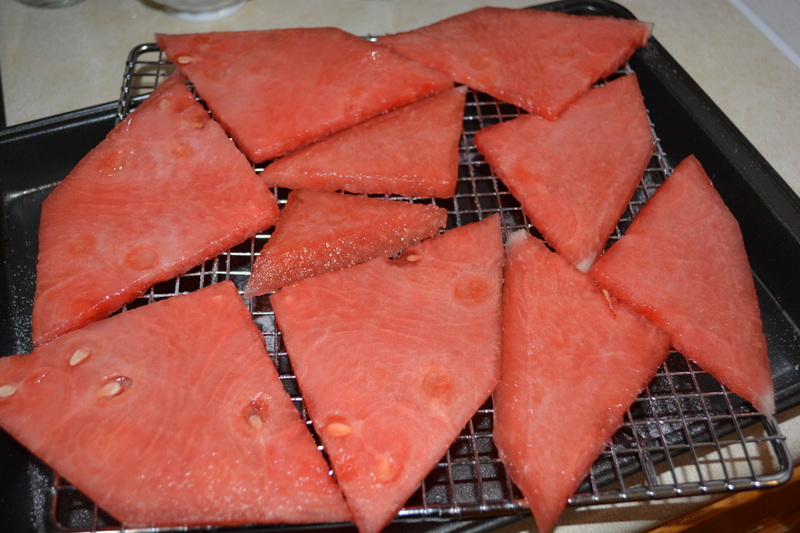 Leave the watermelon to macerate for 30 minutes, then pat dry with a paper towel. Rose Scented Cream: While the watermelon is macerating, place the cream and sugar in a bowl of an electric mixer and whisk until you have soft peaks, gradually add the rosewater and whisk until peaks form (be careful not to over whisk it). Spread 1/3 of the rose scented cream evenly over one half of the dacquoise, scatter with half of the almond meal. 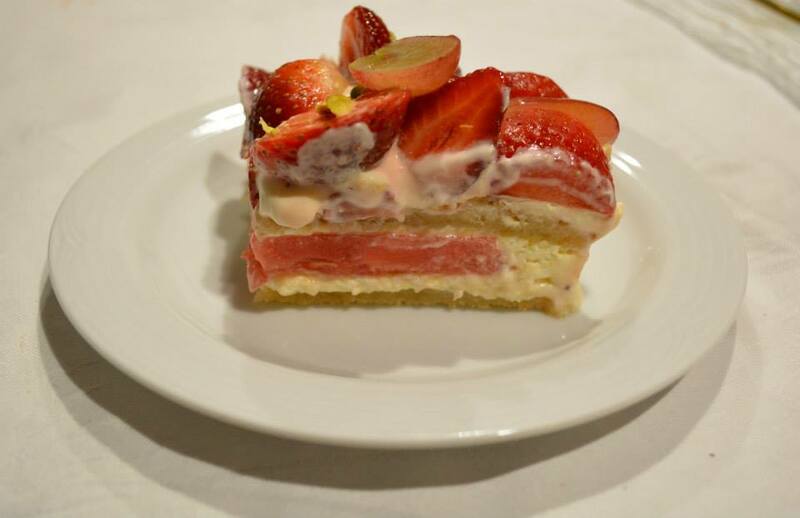 This picture is when I doubled the recipe, if doing as per recipe, this dacquoise would be cut in half lengthways. 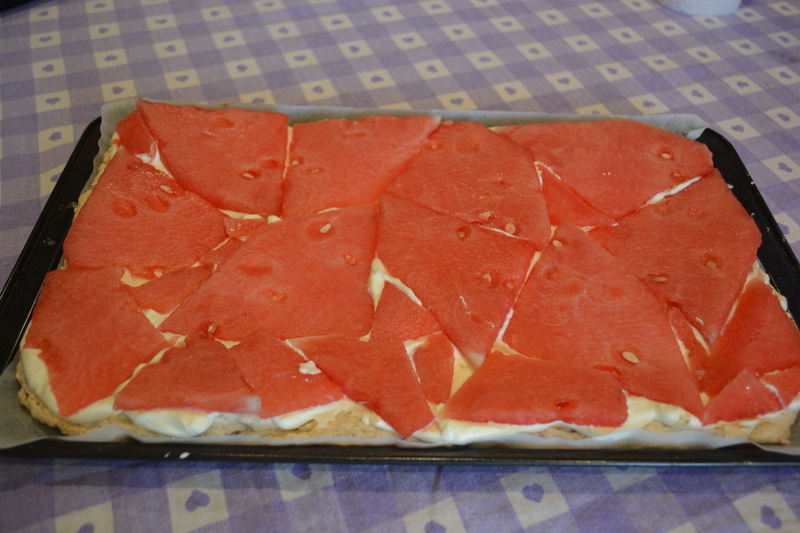 Top with the watermelon slices, trimming to fill any gaps. Scatter over the remaining almond meal. Spread with half of the remaining rose scented cream. Top with the remaining dacquoise. Spread over the remaining cream and refrigerate for 2 hours. Combine the strawberries, remaining 20ml rosewater and remaining 1 tablespoon sugar in a bowl, toss to combine and set aside to macerate for 15 minutes. 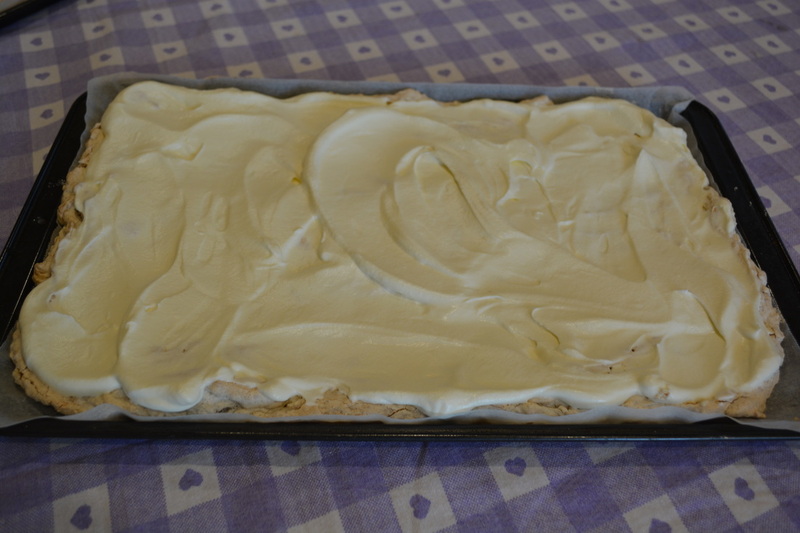 Carefully arrange on top of the cake, gently pressing it into the cream. 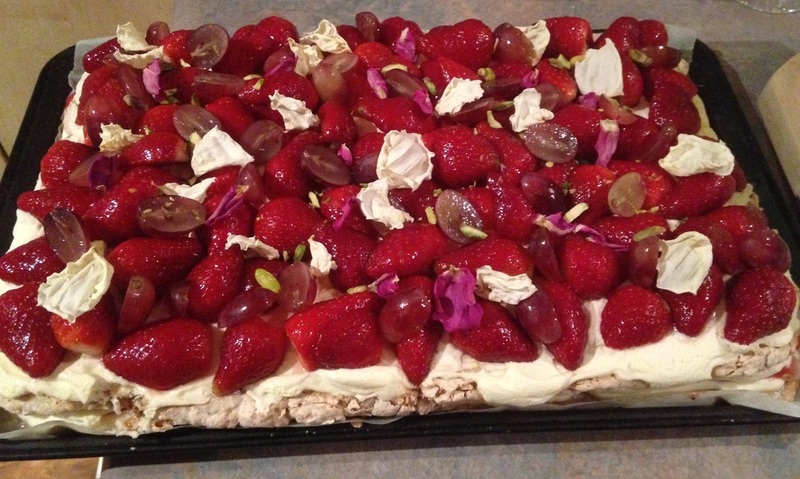 Trim the edges of the cake (optional), scatter over the grapes, pistachios and rose petals.